Domenic has over 20 years’ experience in property finance, investment and development. His exceptional knowledge of property finance includes broad experience with a range of capital partners – from debt through to equity. After launching his institutional banking career with ANZ, Domenic moved to Gresham Partners to work in Property Funds Management. He has also held funds management positions where he was responsible for capital sourcing, asset management and execution of mezzanine debt, preferred equity and joint venture equity deals. At Stamford Capital, Domenic focuses on actively managing assets under investment through Stamford Investments, and is also responsible for key client and capital relationships, investor relations, as well as the strategic direction of the Group. Domenic is a Credit Representative (410844) of BLSSA Pty Ltd ACN 117 651 760 (Australian Credit Licence 391237). Michael has over 20 years’ experience in property finance, investment, development and syndication. He started his career at Savills Commercial Property Agency and then moved into the property finance sector, initially in finance origination and then heading up principal investments. At Stamford Capital, Michael is responsible for jointly running the business. He executes advisory mandates and uses his knowledge of debt and equity investments to enhance returns for Stamford’s clients. Michael is a Credit Representative (488540) of BLSSA Pty Ltd ACN 117 651 760 (Australian Credit Licence 391237). David's expertise spans 13 years in commercial banking, funds management, property finance and investment with specific expertise in structured property finance solutions. He previously worked with Ashe Morgan Winthrop, managing structured property investment funds, and with CBA in risk management and corporate banking. He understands how to manage subordinated capital exposure from initial due diligence right through to repayments, and is known for finding a solution to complex transaction issues. Bringing this expert knowledge of Australia’s real estate capital markets, David sources opportunities and manages our key stakeholder relationships. Marcus has in excess of 25 years' experience in managing and driving the development of small, medium and large businesses both in Australia and internationally. His experience includes senior roles in funds management, commercial finance and broking, investment banking, capital markets and chartered accounting. Marcus was most recently a senior executive at Challenger Limited and previous roles include Chief Operating Officer at Ashe Morgan and Head of Structured Finance at UBS. At Stamford Capital Marcus will sit on the Board and take a hands-on role in strategic projects. With over 10 years experience in corporate chartered accounting, Peter brings a wealth of financial expertise to Stamford Capital. Peter has previously worked at Chartered Accounting firms including KMPG, and was working with Stamford Capital as an external accountant before his decision to move in-house. As Stamford Capital’s Chief Operating Officer, he is tasked with overseeing the day-to-day operation of the business and will be taking care of everything from our finances and regulatory compliance, to our valued investors and stakeholders. As Director of Stamford Capital, Melbourne, Henry brings over 35 years of banking and property knowledge to the team and to our clients. He is known for being tenacious, outcome-focused and service-driven and his long history of strong, respected relationships in the industry is testament to that. Henry is an expert in property lending, planning and relationship development and he ensures our clients in Victoria benefit from that experience. As Director of our South Australian office, Adam is leading our growth and expansion into the South Australian market and beyond. He has extensive knowledge in the commercial property industry, with over 20 years’ experience working across valuation, asset management and banking. His expertise in property finance comes with over 11 years working in senior account management in property finance at both BankSA (a division of Westpac) and NAB. He has had extensive experience in the origination and management of a range of investment and development transactions, and he brings this knowledge to our clients, as well as a fierce commitment to delivering successful outcomes. With over 25 years in commercial and corporate banking in both China and Australia, Henry brings a wealth of cross-cultural business expertise to Stamford Capital. Henry has previously worked as the Head of Commercial Client Solutions for ANZ in China and is multi-lingual, fluent in English, Mandarin and Cantonese. As Stamford Capital’s Head of Asian Business, he is an invaluable connector, facilitating relationships between the Asian and Australian markets, and works to advance and expand Stamford Capital’s opportunities in Asia. Jeremy has 15 years’ experience in commercial banking and property finance, including Rabobank and AMAL Asset Management. He has completed new lending and investment opportunities valued at more than $1.5 billion across the residential, retail, commercial and industrial sectors. He now runs Stamford Capital’s Queensland office, where he is responsible for originating, analysing, placing and managing mid-market deals ($1 to $50 million) for clients in Northern NSW and Queensland. With Jeremy’s expert knowledge, he is able to find financial solutions for complex transactions and under challenging circumstances – avoiding potentially costly or stressful delays. Barn has over 20 years’ experience in investment banking, having previously worked as an analyst with Credit Suisse in London, and on the fixed income desks of Morgan Stanley and Bank of America (Merrill Lynch) in Sydney. He is responsible for building our Queensland and Northern NSW deal origination business, executing transactions and bringing new capital funding opportunities to developers and investor clients. 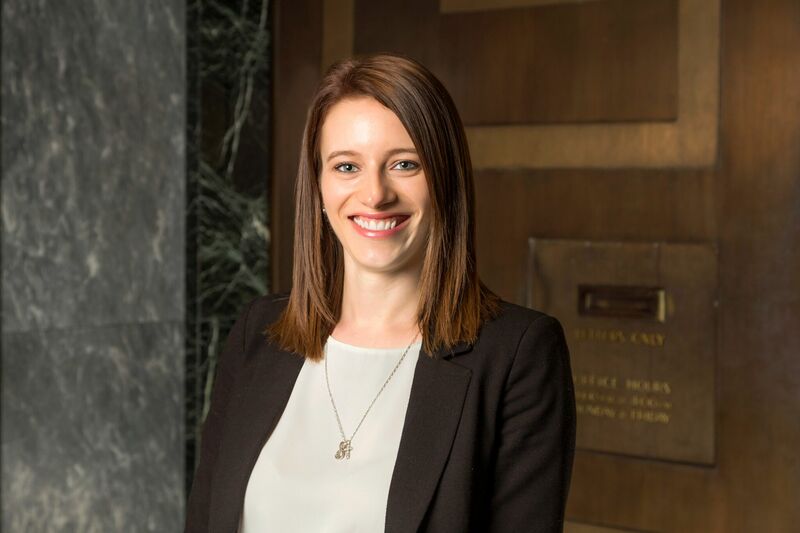 Ilze brings global expertise in commercial property credit risk analysis to our Sydney team. Having worked for over 10 years in financial services, including five with Barclays Bank in London, she is known for her skills in structured property debt finance and cash flow modelling. With extensive expertise in the origination, structuring and execution of debt finance across diverse real estate investment and development transactions, Ilze ensures capital procurement is seamless for our clients – from preparing credit submissions and modelling transactions to working with their legal advisers and consultants through to settlement. Harrison is a dedicated Analyst, with a passion and focus on delivering great results for our clients. His commitment to our clients is shown through rigorous markets research to ensure he provides industry-leading insights – and delivers the best possible results. With strong knowledge of both domestic and international financial markets, Harrison thrives on solving complex issues. Known for thinking outside the box, his extensive experience in complex financial analysis, deal structuring, detailed market and credit analysis and portfolio management makes him a valuable asset to our clients. As a junior member of Stamford Capital, Matt brings a great energy to the Sydney team. Matt is an enthusiastic support to the sales team, helping with financial modelling, credit analysis, preparing IMs and development feasibilities – which allows them more time to focus on our client’s needs. Matt is currently studying a Bachelor of Commerce at the University of Sydney. His intelligence and respect for learning makes him an invaluable asset with a bright future. Will brings significant commercial property experience and great initiative to Stamford Capital’s Brisbane office. As Junior Analyst, he assists the Queensland team with analysing transaction opportunities and preparing development feasibilities, allowing them to dedicate more time to clients. Will is currently finalising his Bachelor of Property Economics at Queensland University of Technology. His sharp focus on constant learning and challenging himself makes him a valuable addition to the team. Chris is the Senior Advisor in our Queensland team and is responsible for business development. He has extensive experience in the finance sector with over 30 years’ working across commercial, corporate and property lending with both major and regional banking groups. Over this time he has built strong networks across the business community and a solid understanding of the property market in the State. His past responsibilities have included leadership of large national teams of property and commercial lending specialists, business strategy and risk management. Bill is responsible for business development and client liaison, as well as credit analysis and financial modelling, preparing information memorandums and investor reporting. His strong problem solving and analytical abilities underpin our commercial finance and funds management services. At Stamford Capital, Grant brings a genuine passion for deal origination and building relationships with developers and investors to help them bring projects to life. Having worked for over seven years in relationship and stakeholder management in the property finance industry, Grant is known as an amiable, knowledgeable character who is determined to find ways to add value for our clients. With extensive experience in origination, financial modelling, credit analysis and transactions – Grant brings our clients detailed and up-to-date market advice they can trust. Peter has over 25 years experience in the legal fraternity, in property and finance. Having worked in all facets of property matters in Sydney and around the country, he has contributed to the success of many property developers and real estate purchasers in the last three decades. Peter has held several senior positions across property and finance with Australian and American businesses and dealt with many types of property transactions. Over the years, he has participated in property and finance seminars around the country and has been a contributor to various real estate topics. He has developed extensive relationships with individuals and companies that are central to the local real estate market. Peter is a solicitor of the Supreme Court of NSW, having obtained an Honours Degree in Law from the University of Technology, Sydney in 1992 and a Graduate Diploma of Legal Practice from the College of Law. He is also a member of the Law Society of NSW. As office and marketing manager, Amanda is an invaluable asset for the Stamford Capital team. Her meticulous attention to detail and ability to multi-task is key to keeping everyone in line. She is responsible for coordinating our office needs, providing team support and keeping our stakeholders and clients up to date with our latest news. Russell is the founder of Global Treasury Risk Management which commenced operation in 2010. With a diverse range of skills, tailoring solutions in debt, funding, treasury and currency risk management and derivative structuring. Industry expertise across commercial property, government, manufacturing and FMCG sectors. With thirty years commercial experience, having expertise in corporate, banking and financial markets. He has been engaged by a top 4 firm and continues to act as expert opinion on various significant financial matters. 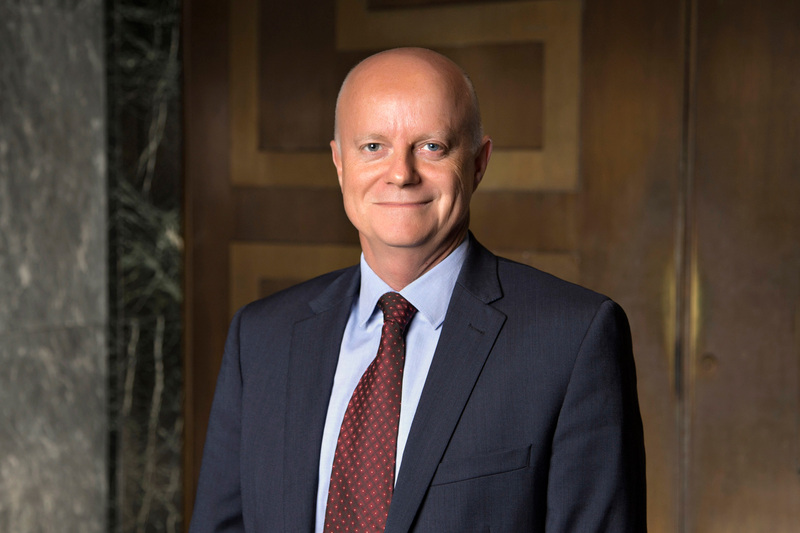 During his career, Russell has worked at National Mutual Funds Management, Macquarie Bank and more recently, 15 years with ANZ Global Markets as a Director. He holds an undergraduate Diploma in Marketing- Swinburne University, a Post Graduate Diploma in Banking & Finance and a Masters of Banking & Finance, both from Monash University.